"Don't underestimate weird cat, he's beyond comprehension." - Reggie , talking about Raziel to Itamie . Raziel is Alice's conjuration. He is the embodiment of her cunning and disturbed nature. His special power is turning into a cape which Alice can wear. In his regular form though, he is proven to be incredibly fast and deadly against the denizens of the underworld mutated by the Faint Glimmer. He is named after the archangel of dreams, fear and secrets. His name is revealed by DT , and his first appearance is while Derrick is exploring his house. Like all conjurations, Raziel can be commanded by the Observers. Raziel seems to be slightly shorter than Bambino , with fuzzy ears and crude stump-like squared limbs. These have three long blades protruding from the upper ones and a single extra blade attached to the tip of his tail. His eyes are red buttons - one of which has a long scar across it – and a small pink nose.His mouth resembles a zipper that has been sewn shut where it's missing key should be, thus making Raziel the perfect keeper of secrets. Around his neck there is a grey collar with a golden medal engraved with his initial, and there is a broken chain attached to this collar. He is incredibly comfortable to use as a bean-bag chair, which Alice has acknowledged . 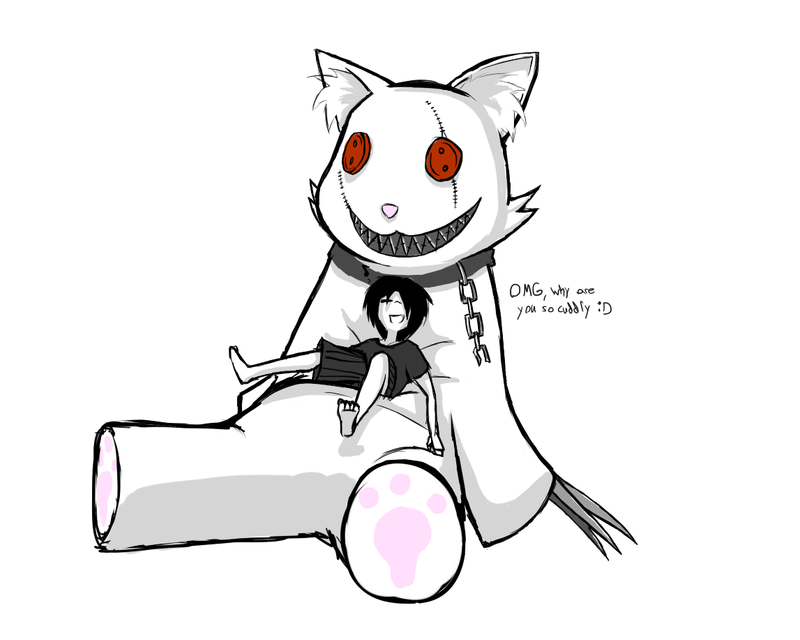 Despite her dislike for cats , both Alice and Daydream are affectionate to Raziel- as seen when Daydream has stated to love Raziel and wishes he could speak with her , however when offered a command to use a text-to-speech program to allow Raziel to talk to her, she seemed unwilling to oblige , and stated he would be incapable of writing- at this point it is not known if she is unaware of the fact Raziel has a personality/thoughts/feelings beyond those of a tool, or if she’s unwilling to let him speak for himself. Additionally, the way Alice talks to Raziel is unusual, such as, when commanded to have Raziel hug her, she phrased it as allowing her to 'grant him comfort ', and telling him that she’s there for him. In general, Alice's interactions with Raziel seem slightly colder/more condescending than Daydream's. Raziel is currently level 8. Raziel currently has no souls. It’s been confirmed by iP in a Q&A that he was conjured with his mouth sewn shut . Having killed one of LOHAM ’s boss monsters, Raziel is currently in possession of whatever special item it dropped, which implies he has at least one item slot. Daydream describes Raziel as “[her] killing tool and comfy cushion essentially” implying he has no personality or feelings beyond what Alice wants of him- however, this has been discredited by iP during a Q&A round. At this point it’s not known what Raziel was conjured out of; since Alice didn’t do it consciously and there seems to be no object to ‘inspire’ his form present in Alice’s room . It’s worth mentioning that the stats listed belong to construct!Raziel, at this point it’s not know what Daydream’s Raziel’s level currently is, but it can be assumed it is higher than its construct counterpart. It’s also been confirmed by iP that is possible for Daydream to send her Raziel out into the construct to follow her orders. This means that, should construct!Alice have been telling the truth in this chat and she only met her Raziel at that point, it’s entirely possible that the Raziel that harassed Lucia was in fact Daydream’s Raziel, since Construct!Alice was not aware Lucia was even in the dreamworld prior to her chat with Derrick.